Where better to experience the stunning south coast of Cornwall than from the sturdy deck of a beautiful tall ship? Cornwall’s coastline is paramount to her rich history; tales of trade and smuggling intertwine themselves with the dramatic cliffs and sweeping sandy bays. 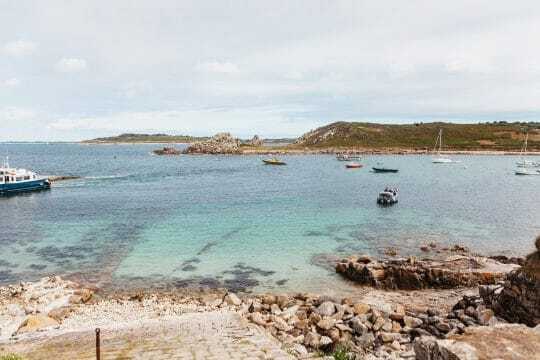 When squinting through sunlight at the billowing white sails above, gulls wheeling and crying, it’s hard not to feel intrinsically linked with Cornish heritage. VentureSail is based in Cornwall, and many of our ships call the county and its waters home – resulting in a wide range of vessels touring the stunning coastline and making trips over to the Isles of Scilly during the summer months. Set sail from Fowey and explore some of Poldark’s filming locations, hunker down in the Helford for the night before voyaging up to Falmouth. 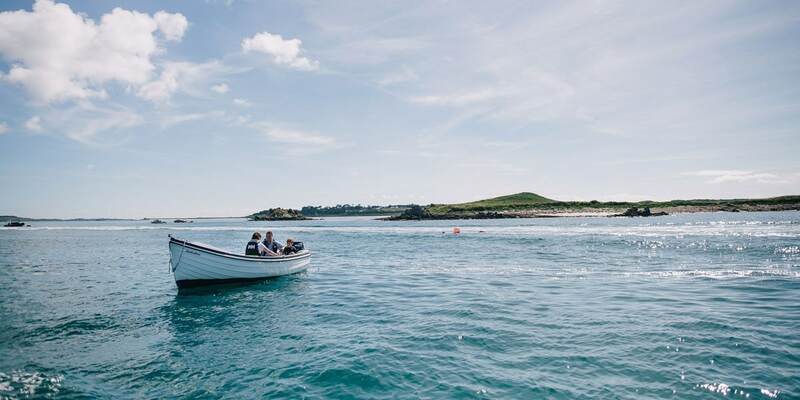 Wherever your venture takes you, Cornwall remains a popular destination for many of our guests and features on many a sailing schedule so take a look at each vessel and see which takes your fancy. 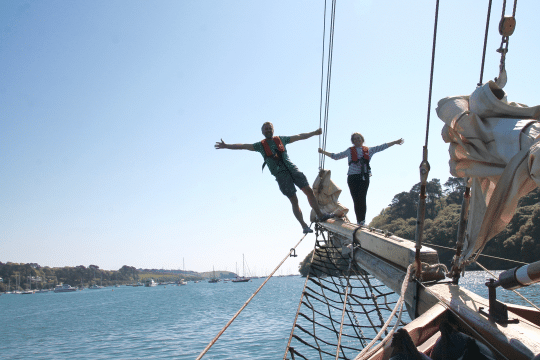 Learning the ropes of traditional sailing is a great challenge for sea-dogs and landlubbers alike. The rewards are simply breathtaking: being aboard a historic ship cascading over ocean-blue waves is a thrilling experience for all ages. All your hard work pays off in other ways too, with visits to quaint harbours where you can sample delicious clotted cream ice cream and soak up the hustle and the bustle of a busy Cornish summer. 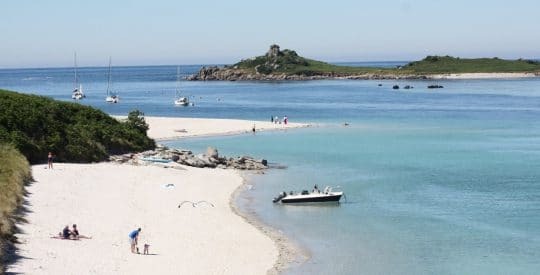 Of course, if it all gets too much, you can sail away to any number of secluded coves and sandy beaches, accessible only by water, so tranquility is guaranteed. Perhaps one of the best parts of staying on a classic ship in Cornwall are the still evenings, where the peaceful little coves in which the boats anchor become an astronomer’s dream. The star-studded sky seems infinite from the deck, where you can lie for as long as you like; observing comets, shooting stars, and the silvery moon, which often lights a shimmering path across the darkened waters. 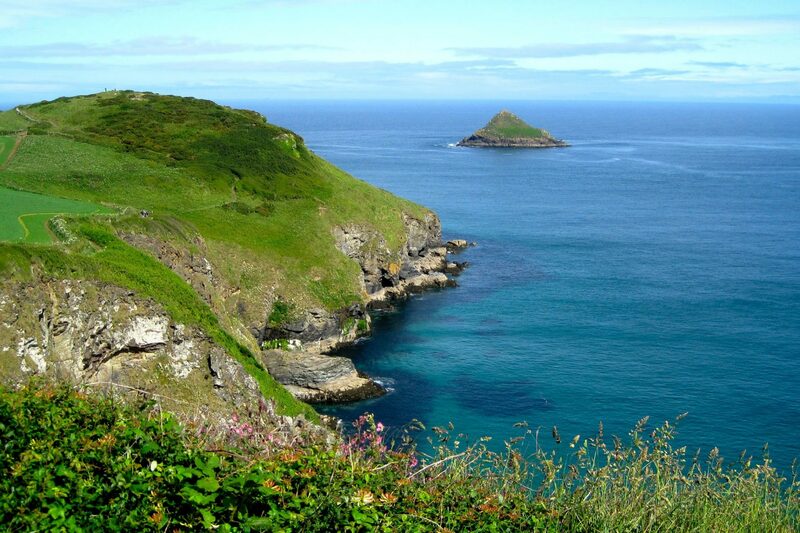 You’ll be swept away by the romance of Cornwall and its stark contrast to modern life. 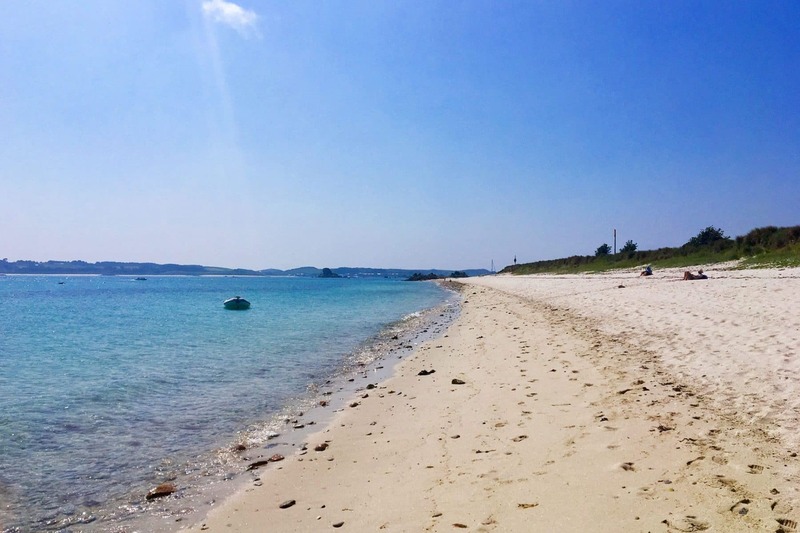 Why not venture the short distance across to the Isles of Scilly just 28 miles off the Cornish coast, yet a world away from life on the mainland. 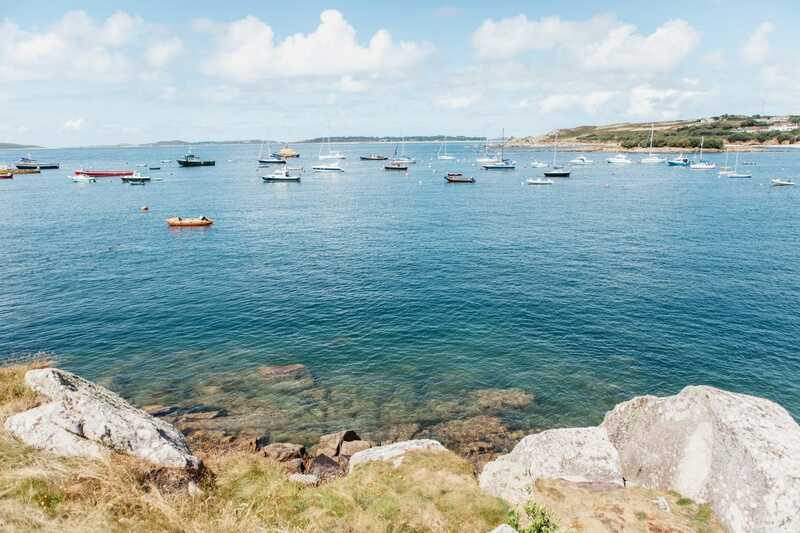 Set amid turquoise waters, their white sandy beaches rival those of the Caribbean and proffer outstanding food and drink, a host of fabulous walks and amazing wildlife spotting opportunities. Composed of five inhabited islands – St. Mary’s, St. Martin’s, St. Agnes, Bryher and Tresco (with it’s world famous Tresco Abbey Garden )– the entire archipelago is an Area of Outstanding Natural Beauty and it’s easy to see why!. There are also numerous uninhabited isles to explore too, each offering a safe haven for wildlife and seabirds. All the ships in our fleet are very comfortable, offering you everything you need throughout your time on board. 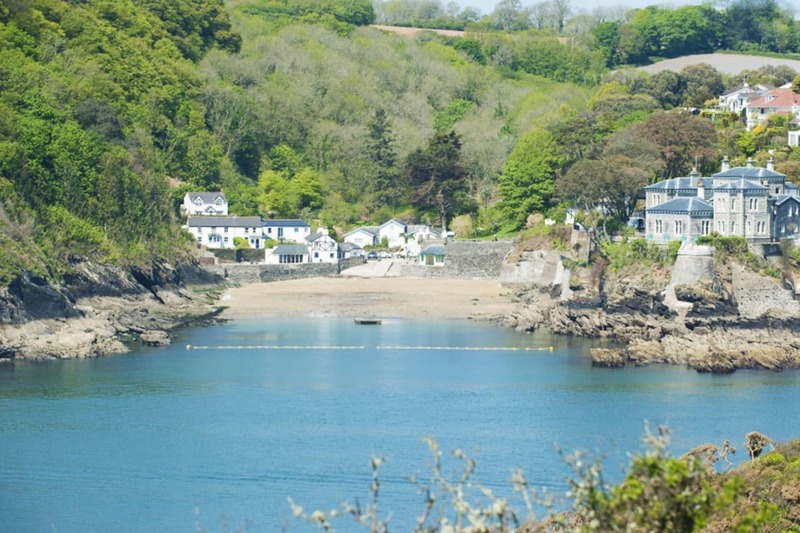 In Cornwall particularly, food forms an important part of life, both ashore and afloat. 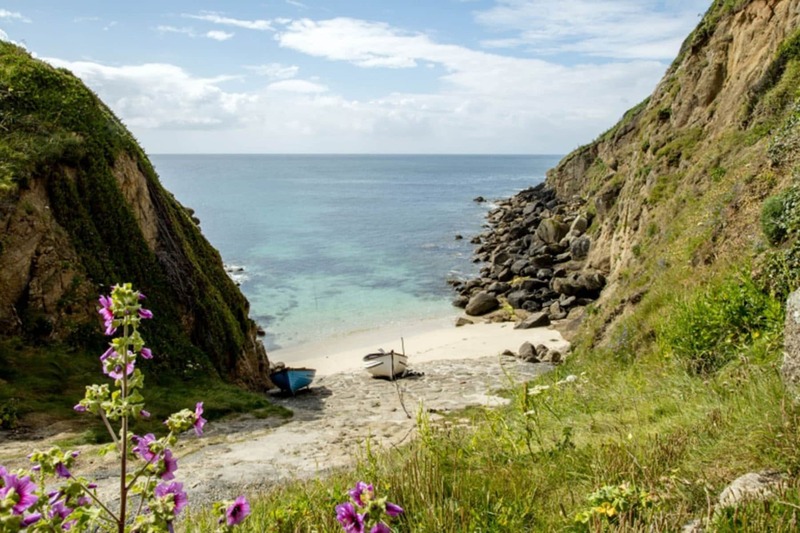 The crew endeavour to source local delicacies where possible, making sure you receive the superlative Cornish dining experience to ensure your stay is truly outstanding.